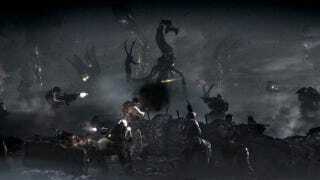 Why Would Anyone Watch YouTube Videos of Leaked Gears 3 Footage? It's something I've wondered about. When a game like Gears of War 3 is leaked ahead of its release date, I can understand wanting to play it, but why on earth would someone go out of his or her way to spoil themselves by watching videos of it on YouTube? In a lengthy interview with EDGE Magazine, Gears executive producer Rod Fergusson wonders the same thing. "It's people choosing to ruin their own experience," he says, "which I completely don't get." He also muses about people who might play leaked code because they're curious about Epic's design process, observing that "it's a tempting proposition because it gives them a peek behind the curtain into the development process that you don't get when you have a team go into a black box for three years or so and then emerge with this amazing, polished experience. But you want to watch the making-of afterward. Nobody wants to watch ‘The Making of Avatar' before they've watched the actual movie."